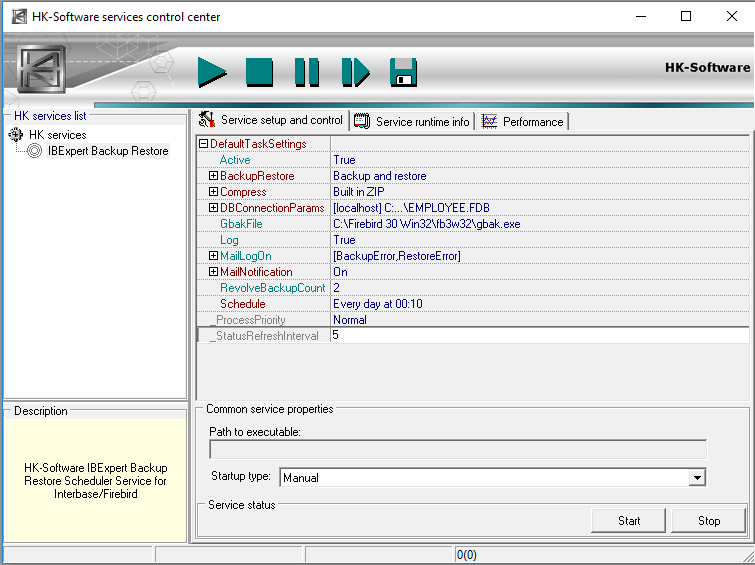 The IBExpert Server Tools can also be deployed on virtual machines or in a cloud infrastructure. Hardware-independent activation, i.e. if the virtual machine is transferred to another host, the script engine will continue to run without re-registration. An unlimited right to use the software activation on the registered machine. Includes: IBEScript.exe, IBEScript.dll and the BackupRestore Scheduler. Access to the IBExpert Download Center for 12 months to download and activate IBExpert Server Tools. Transfer to another (physical or virtual) machine is not possible. Only 1 instance may be active per IBExpert Server Tools activation. For all copies of the virtual machine on which the script engine is to be used, 1 IBExpert Server Tools registration is required. Please note that we cannot offer any software subscription services as the Server Tools include only a singular download. The IBExpert Server Tools does not include the IBExpert IDE. All functionalities of the IBEBlock scripting language, for example, metadata and data comparison, multiple database access, etc. are also available. Details of the individual tools can be found here. Please always use the current IBExpert Server Tools version, which is available in the IBExpert Download Center.